Gift Ideas for Her - Shadowline Lingerie Gift Certificates! Digital gift certificates are emailed to a recipient of your choice. Recipients are given a code that can be used in the checkout. 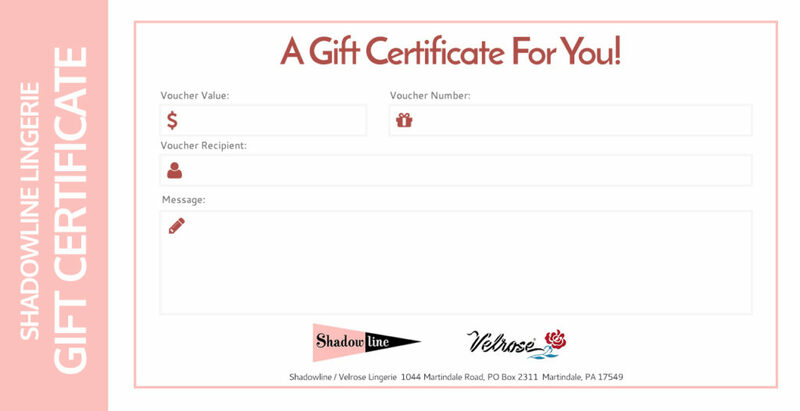 *Gift certificates must be purchased separate from any other products for shipping purposes.